New Zealand whisky is not as well known as that of neighbour Tasmania but it sure is of high quality. It is available from brands like New Zealand and Milford. 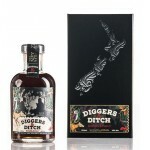 The New Zealand Whisky Collection Diggers & Ditch Double is a blend of Double Wood whisky fro.. The New Zealand Whisky Collection High Wheeler 21 years old is an older New-Zealand blend whisky .. The New Zealand Whisky Collection Single Malt 25 years old is an older New Zealand whisky made fr.. 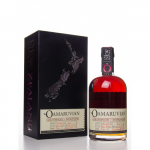 The New Zealand Whisky Collection The Oamaruvian Cask is a New-Zealand whisky matured in American..